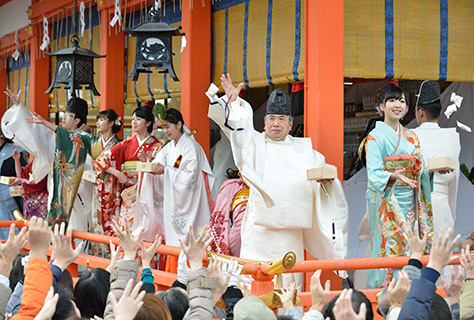 Traditional festivals and rituals are held at Fushimi Inari Taisha throughout the seasons. Here you can find out about some of the biggest events. Prayers for the new year, the peace and safety of the nation, bountiful harvests, and economic prosperity. 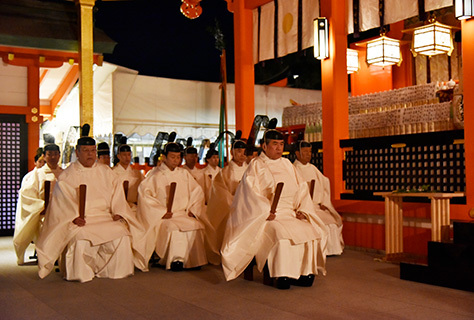 A ceremony celebrating the coming of age and departure into an adult life filled with promise for all young men and women who will reach the age of twenty in the new year. 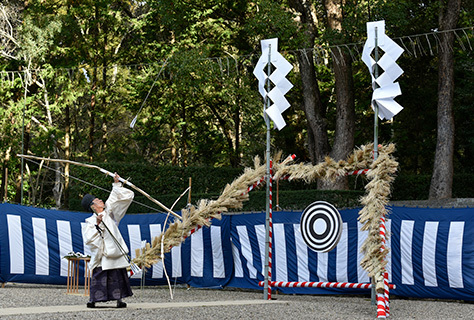 An archery ceremony that drives away evil and welcomes positive influences. 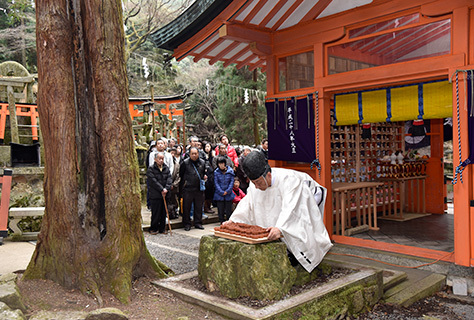 Celebrated at the point marking the end of winter and the start of spring according to the traditional calendar, this ceremony banishes evil and welcomes good. 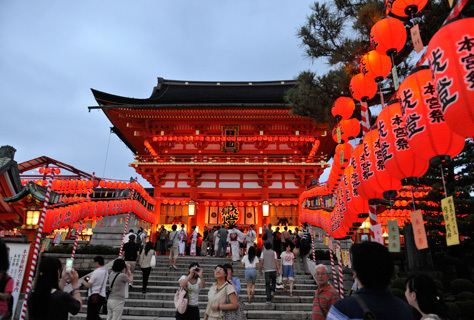 The anniversary of the establishment of Inari Taisha. Shrine visits on this day are called Day of the Horse Visits or Blessings Visits, and this is a major festival that has been described in poetry and other literature since ancient times. 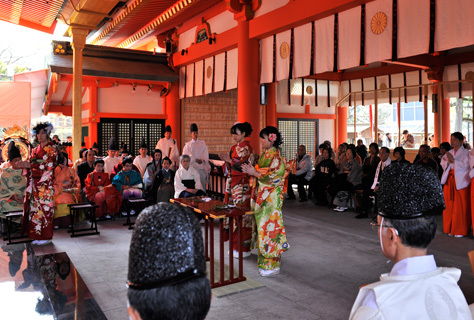 On the first Day of the Horse according to the old lunar calendar, the Otsuka Taisai ceremony is held at the Gozendani Hohaisho. 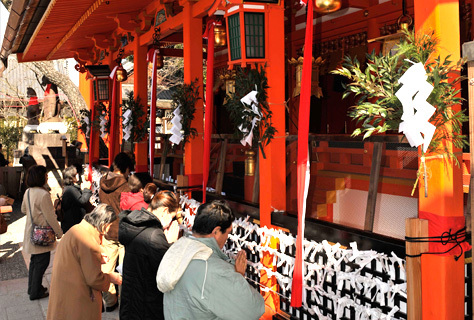 A ceremony expressing thanks to Inari Okami, the deity of all business enterprises, and praying for business success and economic prosperity. 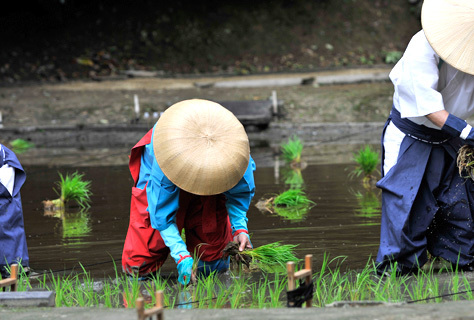 Rice seedlings are transplanted into the nursery beds and prayers are offered for the protection of Inari, so that the plants may grow strong and produce a rich harvest. 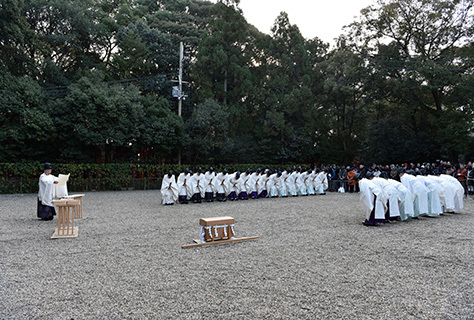 The most important shrine festival of the year, when portable Inari shrines are brought to the area to confer blessings. Rice seedlings that were planted in nursery beds in the Minakuchi Hashu-sai on April 12 are now transplanted into the shrine paddies and prayers are offered for a bountiful crop. 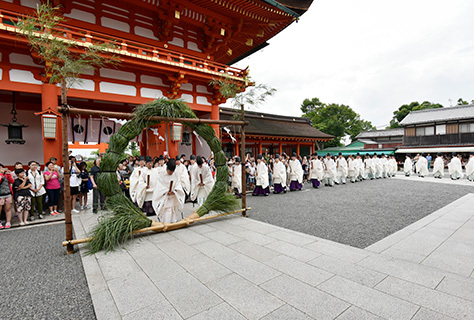 A purification rite held on the last day of June — also known as the Summer Purification Rite — to purify us of all sins unintentionally committed since New Year’s Day. The impurities are transferred to doll-like figures, which are then released in rivers and the sea to carry the impurities away. 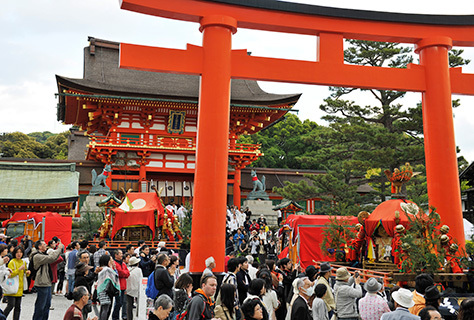 A festival when worshippers from all the Inari shrines throughout Japan visit Inari Taisha, the main shrine, to express their gratitude for the daily protection and blessings they’ve received and pay their respects. A festival to express gratitude to the deity and pray for the safety and prosperity of all Devotional Association members. The harvested rice is offered up for the Shinjo-sai (November 23) and the remaining rice straw is burned. 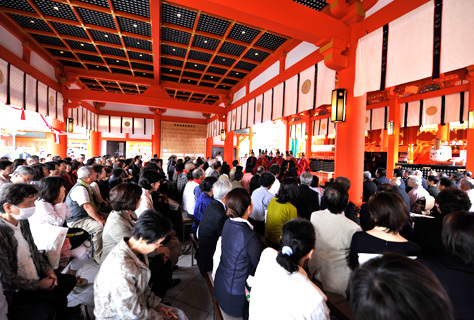 A festival held after the autumn harvest to thank Inari Okami not only for our abundant grain harvest but for the blessing of life of all creatures. 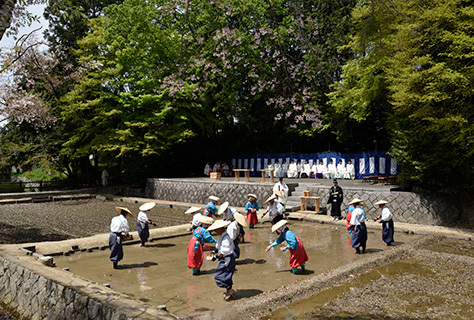 This traditional shrine festival dates back to ancient times and is widely known. 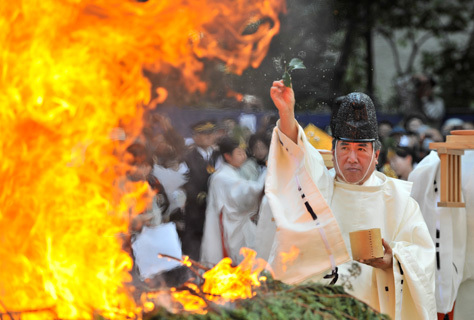 After a ceremony held in the main shrine building, over 100,000 wooden tablets from worshipers throughout Japan are burned in the shrine’s ritual fire site. 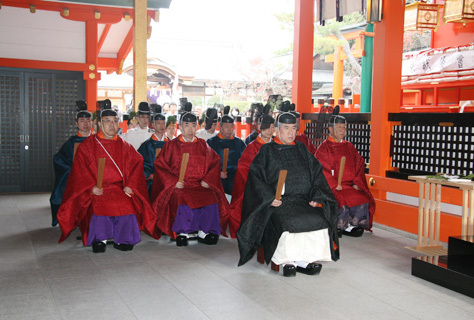 The head priest, other priests and all of the attendees chant prayers to ritually extinguish sins and invite good fortune. 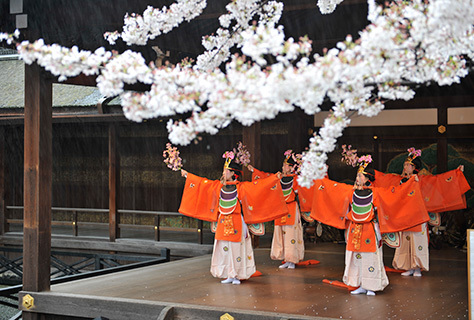 From 6:00 P.M. on the day of the Hitaki-sai, a mikagura (singing and dancing performance for the deity) is held in a tradition dating back to an ancient practice in the imperial court. This mikagura is based on an ancient ceremony for the repose of souls. 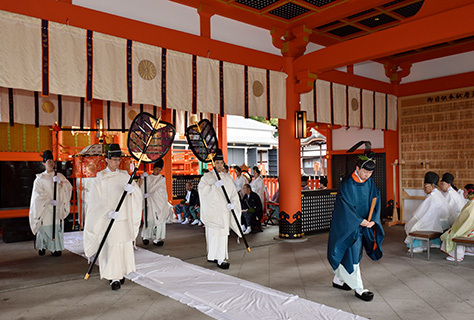 It ceased to be held at one point, but was revived in 1863 by a special decree from Emperor Komei, and is now performed by the staff of Fushimi Inari Taisha. 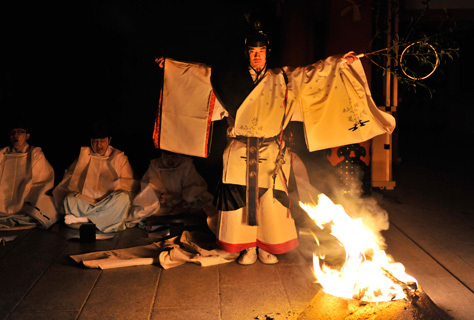 Songs are sung to the accompaniment of wa-gon harps and fue and hichiriki flutes in the dim light of the bonfire, and the majestic ancient ninjomai dance is performed to a song called Hayakarakami. 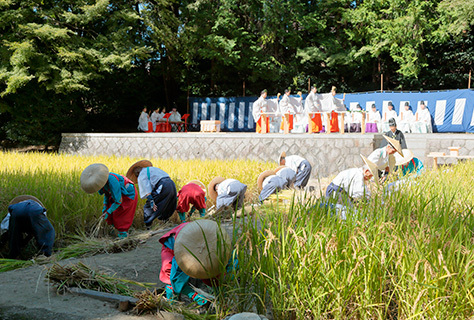 The rice harvested in the Nukiho-sai is offered to Inari Okami, with a ceremony of appreciation for the harvest and prayers for peace for the nation. A purification ceremony to expunge any sins committed in the second half of the year and discharge them by washing them away in rivers or the sea, enabling everyone to begin the New Year in a state of purity.